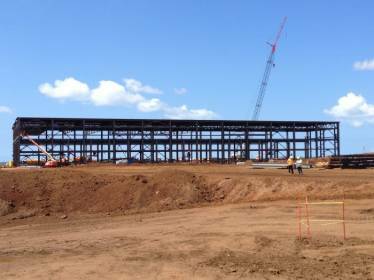 The Honolulu Rail Transit project is a rapid transit project that has begun to provide a high-capacity elevated commuter rail service to the city and county of Honolulu on the island of Oahu in Hawaii. The project is owned by H.A.R.T. or Honolulu Authority for Rapid Transportation. For more than 40 years, Honolulu politicians have attempted to construct a rail transit line. In 1977, studies began for a rail project named Honolulu Area Rapid Transit (HART), however in 1980, President Ronald Reagan cut off funding for upcoming mass transit projects, which led to the cancellation of HART in 1981. After numerous attempts over the years, in 2011 it was decided that the project met the requirements of its environmental review and that the city was allowed to begin construction work on the project. 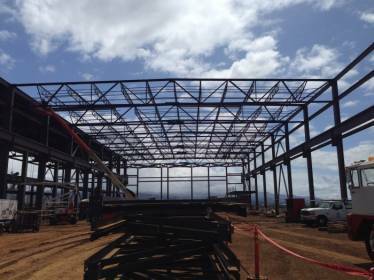 In December of 2013, Portland Bolt was contacted in regards to the anchor bolt requirement for the Operations and Service building needed for this project. This building had a fairly extensive list of different sized anchor rods required. The anchor bolts required were all F1554 Grade 55 and hot-dip galvanized, which was right in line with Portland Bolt’s manufacturing capabilities. The anchor rods required ranged from 1/2” diameter to 2” diameter. In total, the estimated weight of the anchor bolts shipped to the jobsite was just under 30,000 pounds and was shipped complete to the jobsite mid-January, 2014. In addition to the anchor rods, there were square anchor plates required, meeting the ASTM A572 Grade 50 specification. The packaging requirements for this job were unique as well. The anchor rods were traveling via ocean barge to Honolulu, Hawaii, and it was required that all of the anchor bolts be packaged in custom wooden pallet crates and specially labeled so that there wouldn’t be any confusion when the shipment reached the jobsite.